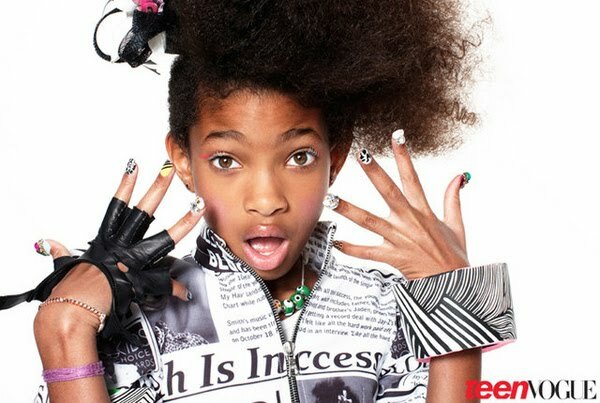 Tweet If you're not fascinated by Willow Smith, you're lame. Yeah, I said it. 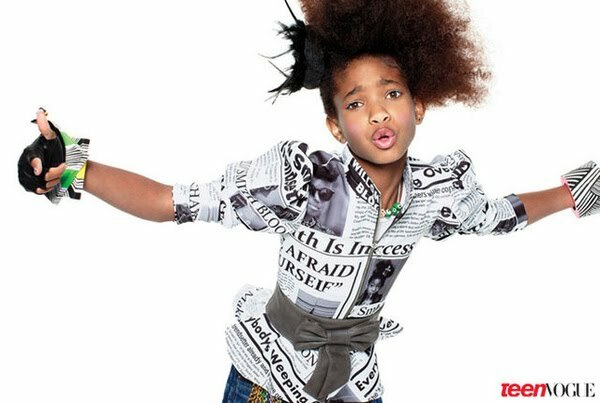 Especially because she's all supa-dupa fly in Teen Vogue this month! That first picture just SCREAMS Fresh Prince! 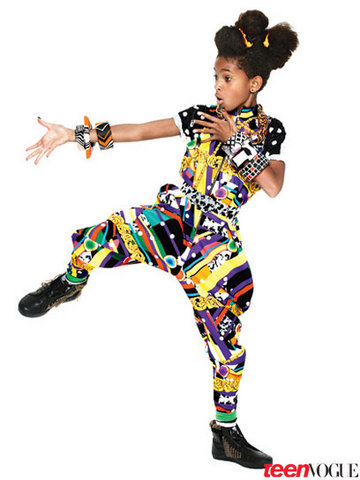 I wonder if she's been watching her daddy's episodes recently for some fashion inspiration... Even though she said she's never heard that before. Her style isn't something a lot of people are going to say "Wow, I love that, I'm going to wear it tomorrow," but that's what makes her cool. 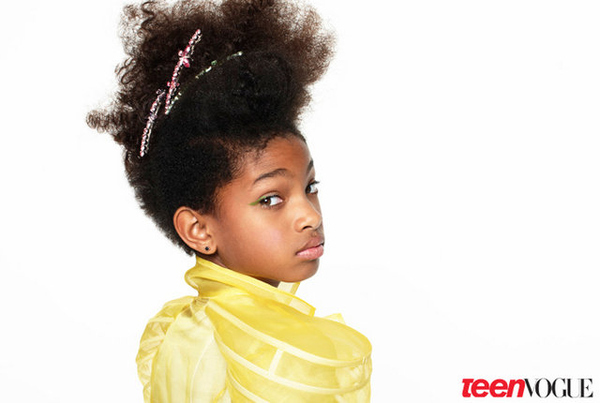 She's 10 years old and has a strong image that's confident. A lot of adults can't say that about themselves. "Whipping your hair means not being afraid to be yourself.. If people don't like you, then bunck them, you know?" "Whenever I don't feel like working, they say, 'You don't want that career? You have to work hard'... They think I should keep working harder and harder... They aren't strict. 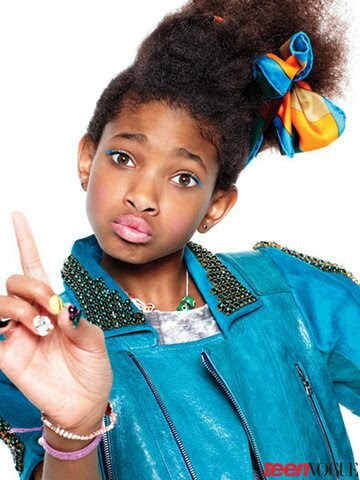 They won't be like, 'Willow, clean up your room!' They'll be like, 'Willow, will you please clean up your room?' And I'll be like, 'OK,' and do it." Her fave Will Smith song is "Parents Just Don't Understand"
She shops at Target! ..When her stylists aren't helping her out. I'm so interested to see how long she can last in this business... And to see how she continues to carry herself. I'm not sure if I think she'll fall or not... but I hope not.